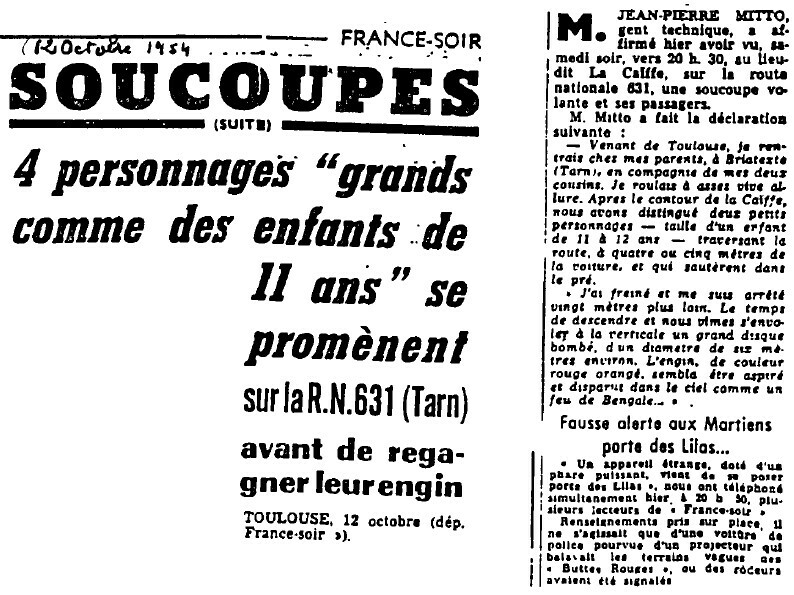 Reference number for this case: 11-Oct-54-Paris. Thank you for including this reference number in any correspondence with me regarding this case. A strange apparatus, equipped with a powerful headlight, has just landed Porte des Lilas," several readers of "France-Soir" phoned us simultaneously yesterday, at 08:30 p.m. Mistake, police car with projector. 1.0 Patrick Gross December 13, 2016 First published.